Summer is here, and that means warmer temperatures, fun in the sun, and most importantly (at least for us over here at Making It Real), all kinds of fresh berries! With early ripening dates in late April and May, there have already been plenty of juicy, ripe strawberries at our RVA farmers’ markets. But those plump red berries are just the first of many summer berries to ripen as the season unfolds. It's always worth finding local fresh berries! While we’re nearing the end of the strawberry season, you can still snap up some sweet red berries at your local farmers’ markets. 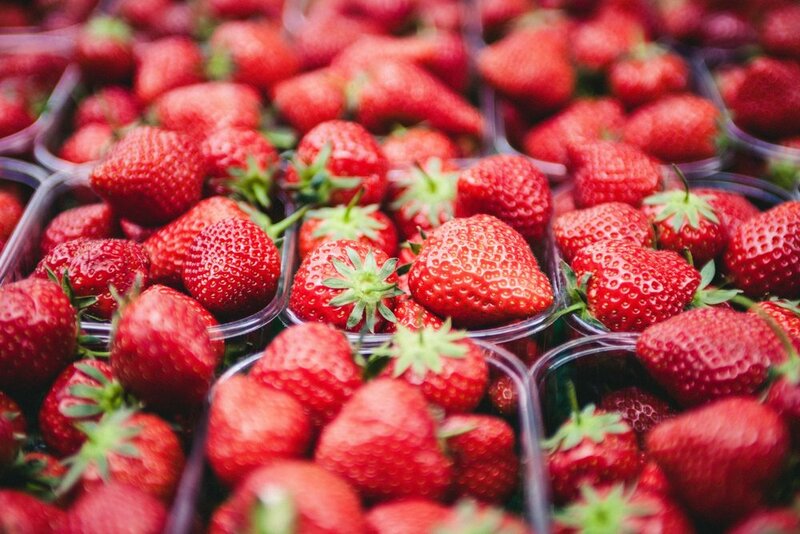 You can also still take advantage of local pick-your-own options, especially if you’re willing to head west to find them, where cooler temperatures extend the strawberry season. As blueberries, raspberries, and blackberries ripen and become available in June and July, we encourage you to take advantage of fresh, summer fruit by hitting up your local farms, many of which offer pick-your-own options. Many of these farms offer organic produce despite being unable to label them as such due to stringent governmental regulations, so if organic is a priority for you, call and ask about spraying and fertilizing techniques. Swift Creek Berry Farm: This small, family-owned farm is located in Chesterfield. They specialize in blueberries, and lots of them! New Castle Bee & Berry Farm: Prefer to head west? While their strawberry picking is wrapping up, this small farm in Louisa also offers blueberries, blackberries, local honey, and more. Gallmeyer Farms: Did you know that Richmond has a strawberry patch? 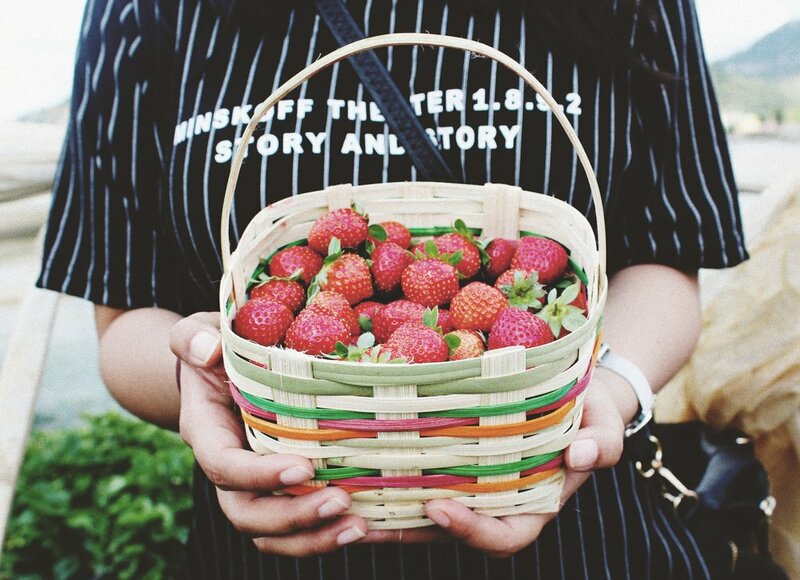 Though their strawberry season has ended, this farm in southeast Richmond offers pick-your-own strawberries and, in the fall, pick-your-own pumpkins, too. They’re also known for their local hives and honey. Chiles Family Orchards (including Carter Mountain & Spring Valley): The mountains of Charlottesville make for great growing, and this trio of sister orchards offers lots of pick-your-own options. Use the drop-down on their site to see what’s in: strawberries and cherries are available now, and peaches are coming soon. If you venture out to pick, be sure to call ahead to confirm picking hours and availability. It’s also a great idea to follow these farms on social media so you’ll be the first to know about their first pick dates, last pick dates, special events, and holiday hours. They taste sweeter when you pick them yourself! Berry Season In the Kitchen: Harvest Now, Savor All Year Long! As delicious as fresh berries are, you’ll want to take advantage of every bite. That means not only enjoying your produce fresh from the fields but also preserving your excess harvest for healthy, antioxidant-rich sweetness all through the cold season. Enjoy them straight from the fields, as nature intended, by adding fresh fruit to your meal as a side dish or dessert. Liven up salads with bright, delicious berries. Whip up an easy berry-based vinaigrette or marinade. Bake them! Berries are awesome in easy summer cakes, pies, light coffee cakes, and other sweet treats. Perfect for stirring into yogurt! Freeze them. Simply rinse, lay out on a cookie sheet in a single layer, and allow to freeze thoroughly. Once frozen, pour into a freezer bag, remove any extra air, and return to the freezer. Easy peasy! Puree your berries, then pour your puree into a freezer-safe container. Defrost when you’re ready for summer sweetness. If freezer space is at a premium, you can still preserve berries for use during the cold season by canning them. Make pie filling, then can it or freeze it for later. Leftover berries starting to go bad? Turn them into berry wine. So many tasty options, and so little time! While there are lots of ways to take action on your own, summer schedules leave many of us surprisingly busy. Remember you can always lean on Making It Real to bring fresh seasonal sweetness to your table, so if you want to skip the work and still enjoy this sweet season, don’t forget to place your weekly order! Sign up with your email address to receive news and updates as soon as posts go live.